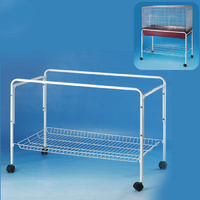 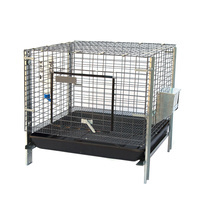 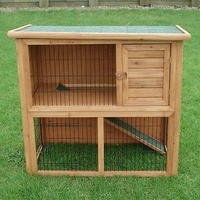 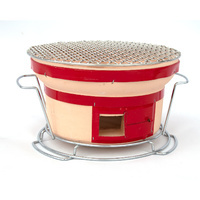 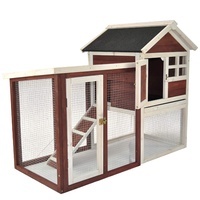 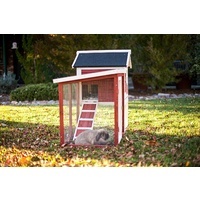 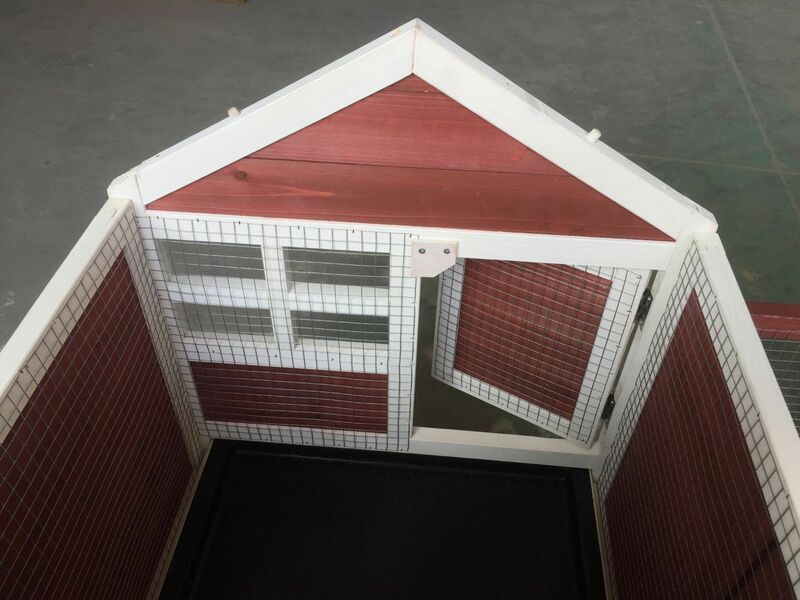 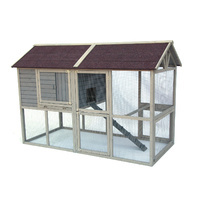 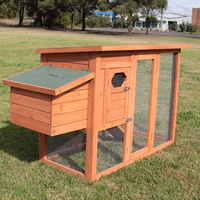 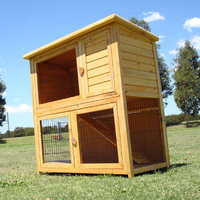 Give your furry friend a comfortable living space in the Flyline Stilt House Rabbit Hutch in Auburn and White. 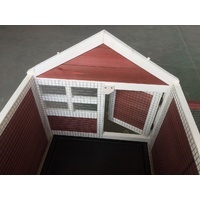 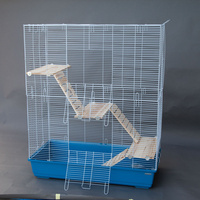 2 major improvements let Flyline Stilt Rabbit Hutch safer than others: Mesh floor included to keep your rabbit from predator, and mesh wire enforced inside the hutch to prevent rabbit chewing. 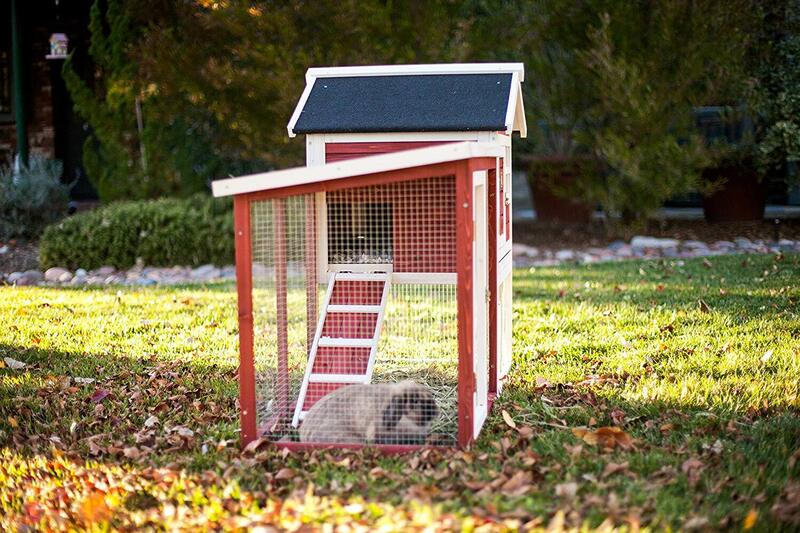 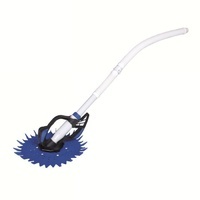 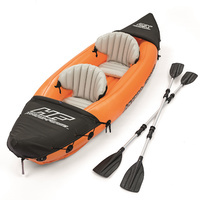 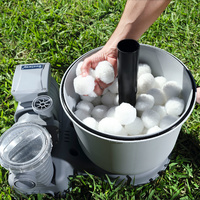 Beautiful auburn & white color looks good in any setting.